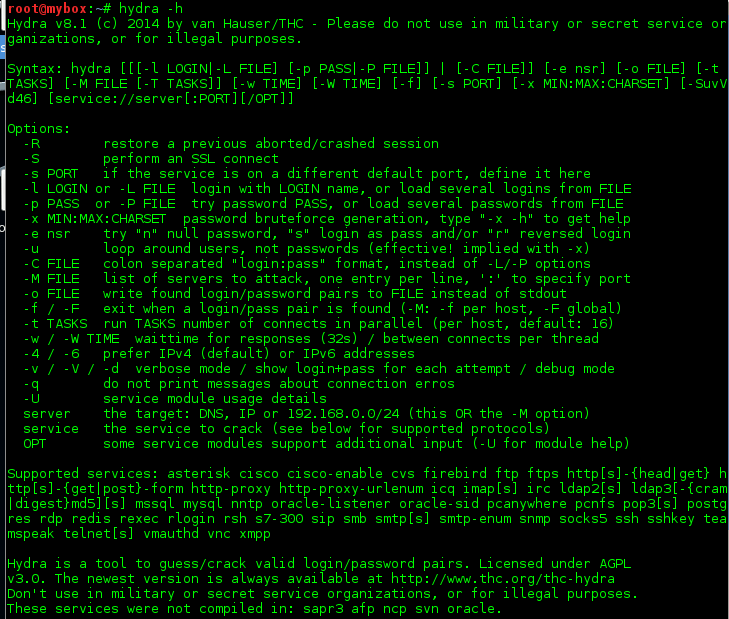 A very fast network login cracker with dictionary attack tool which support many different services. According to official website of thc-hydra, One of the biggest security holes are passwords, as every password security study shows. This tool is a proof of concept code, to give researchers and security consultants the possibility to show how easy it would be to gain unauthorized access from remote to a system and different online services. Note: THIS TOOL IS FOR LEGAL PURPOSES ONLY! 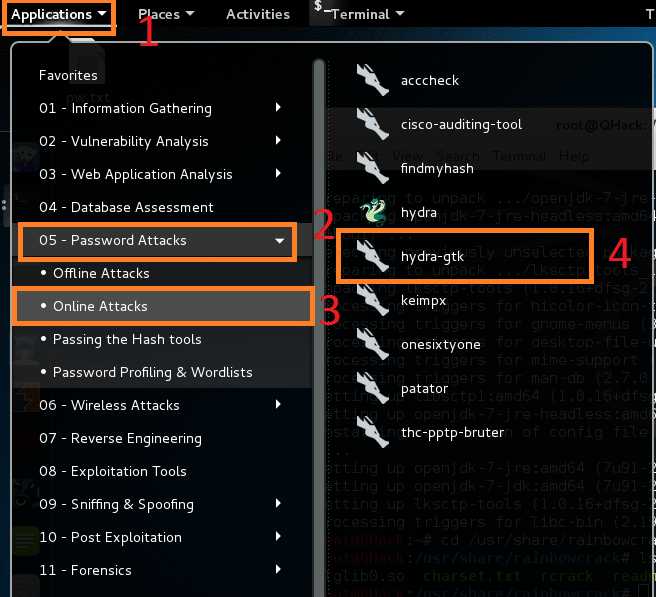 There are already several login hacker tools available, however none does Either support more than one protocol to attack or support panellized Connects. 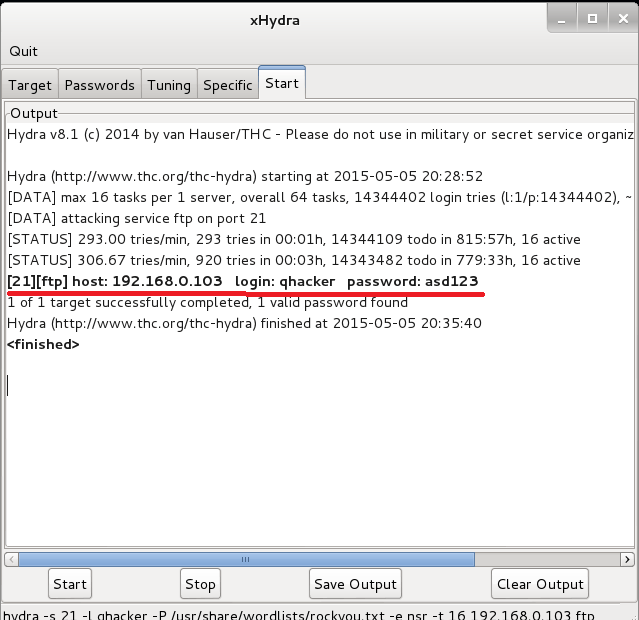 Thc-hydra is available in kali linux already you don’t need to install or configure it. In Kali Linux hydra available in two mode Graphical and Command line. Target List: you can upload file consist targets list. This command will show all options used with hydra command. login and/or password to try. 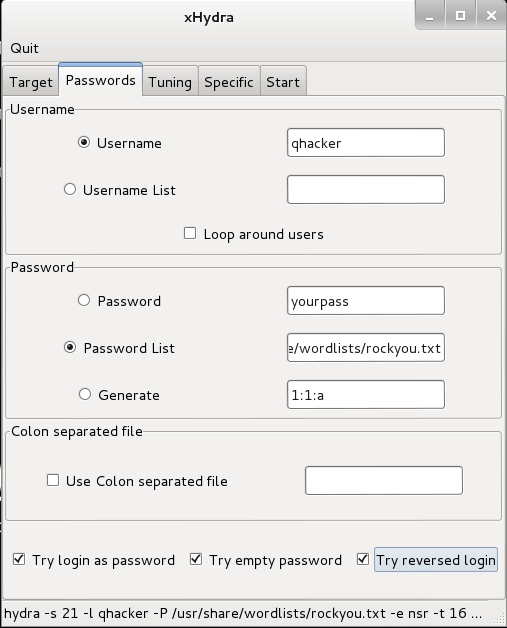 With -L for logins and -P for passwords you supply text files with entries. Additionally, you can try passwords based on the login via the “-e” option.